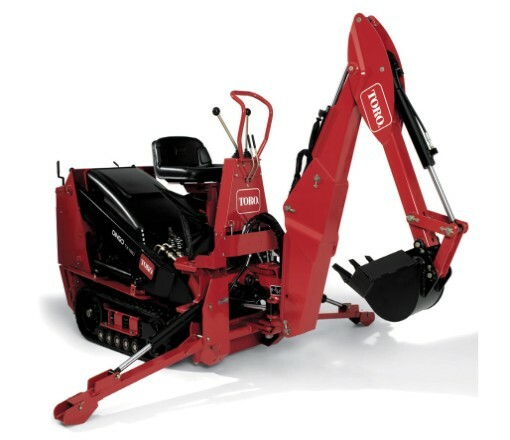 Looking to rent a Backhoe Attachment for the Toro Dingo in Rochester NY, Ithaca NY and Western New York? High quality engineering results in a compact size, equipped with powerful hydraulics for demanding digging jobs. Easy to attach in less than 2 minutes. Trusted by profesional contractors for applications including digging dirt around foundations, expediting the planting of trees and large shrubs, a powerful trencher for irrigation lines, preparing for utility installation and more.